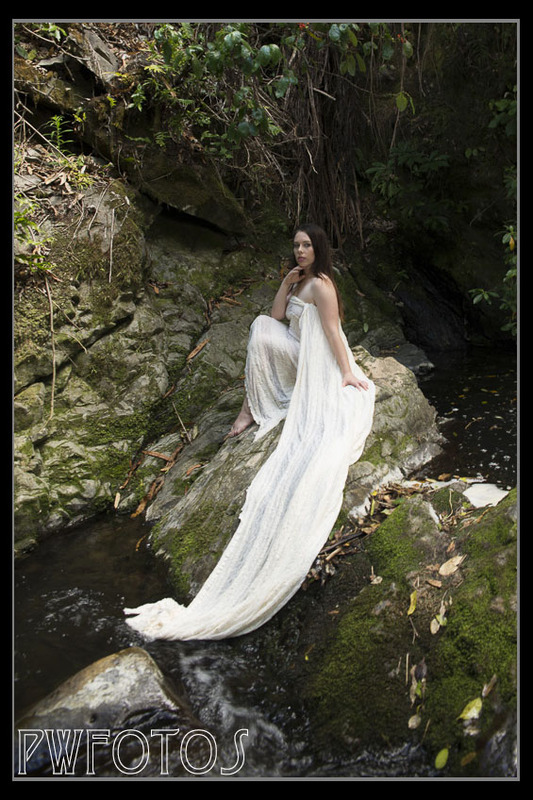 As I mentioned in a previous post, (Rocks, Waterfalls and beautiful girl) when I asked for models interested in shooting at the waterfall I was so overwhelmed with responses that I was able to split the shoot into two sessions. Furthermore I decided that the second shoot was to involve two models as I believed the pool areas was large enough. From the group that had originally applied I picked out two favourites and was about to settle on details when a fellow photographer pointed out that one of the girls was only 16. Now for a fully clothed shoot this would not have been an issue but I had made it quite clear in the casting that this was involving fabric lengths and that I did not want underwear under them. She had never mentioned her age at all. I then discovered that the other model was only 17 so she was now out of contention. After looking at their images I decided to go with Eileen and Heidi. That selection did not last long as the day after I met with Heidi she texted me to say that she had damaged her foot and even sent the x-ray to prove it. That was ok. Kat replaced Heidi. Then the weather gods decided to intervene. The shoot was planned for the Sunday afternoon. It started raining on Saturday morning and continued all day. Sunday morning continued with misty rain and the temperature struggled to get above 15 degrees. I visited the site and while the water had not much higher than the Friday, everything was wet and so I decided that it would just turn into a cold and miserable experience for everyone. The shoot would have to rescheduled for a week. Eileen could still make it but Kat could not. So back to the list and after several others who could not make it, I settled on Renee who I had shot with before. Everything was arranged for a meet at a location where people would not get lost and we managed to make it to the waterfall. The first series of shots were taken individually and involved the girls in fabric drapes. This went quite well although the girls were not impressed when they found a very large spider on one of the rocks. 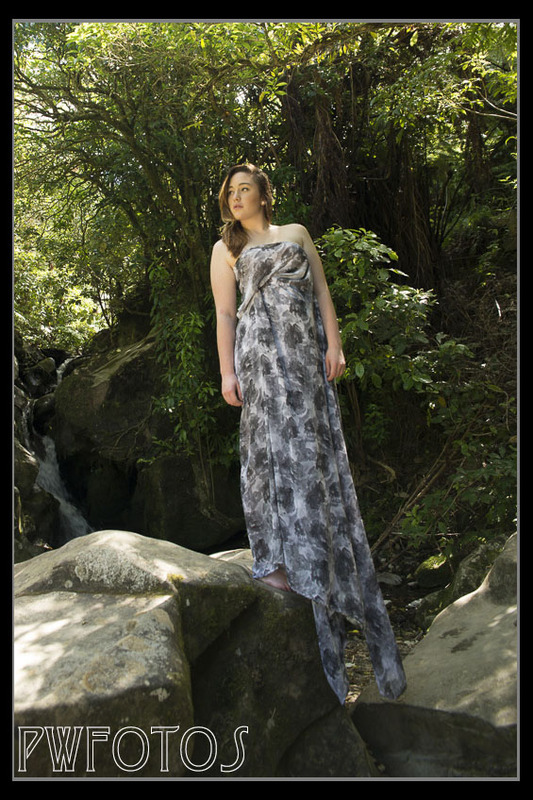 Renee in a 5 metre lace wrap. We had to careful that it did not get too close of the water because the weight could have been an issue. For the second shot I wanted to have the girls together in the pool fully dressed. I had estimated that the pool was only about a metre deep so this should not have been an issue. That estimate proved to be way off and with an estimate that it was over their heads we changed the shoot. Both girls were real troopers as the water was very cold.